We know it’s a bit cliche, but Florida has gained the reputation as a vacationer’s paradise for a reason! We have gorgeous beaches, delicious restaurants, and plenty of attractions to enjoy whether you’re in Panama City Beach, Destin, or elsewhere. 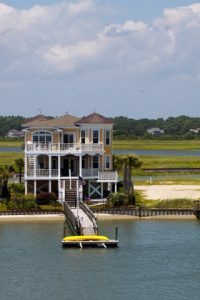 Of course, with the advent of websites like VRBO (Vacation Rental By Owner) and AirBnB, it’s easier than ever to quickly and painlessly run a rental home business. Make your life as a vacation rental owner even easier by calling Destin Locksmithing to install keyless entry door locks! 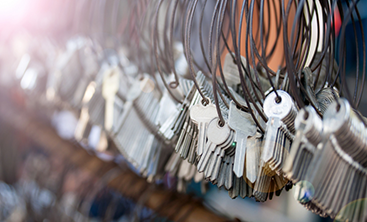 One of the most common complaints vacation rental owners have is the hassle of arranging to drop off keys for your guests, cleaners, repairmen, and anyone else who needs entry into the house. With that many sets of keys to juggle, it can be easy to lose a set or find your cleaners enjoying a bit of time off in your rental! Keyless deadbolts are the easy solution. A keyless entry system replaces the deadbolt and often the doorknob on your outside-entry doors with one combined deadbolt unit. With a keyless deadbolt, the need for keys is replaced with a keypad. 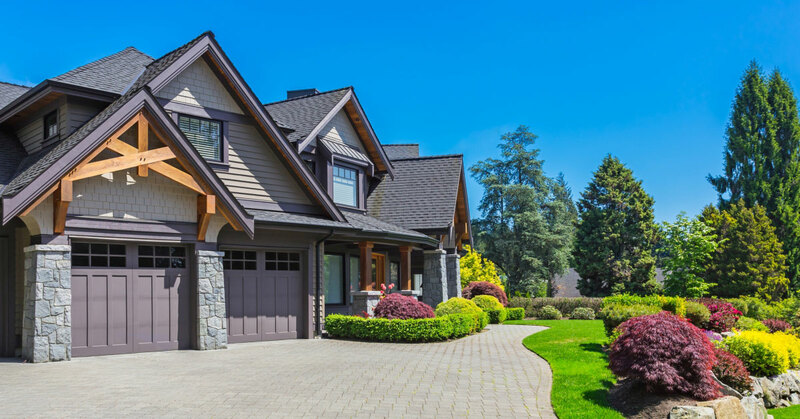 Vacation rental owners love keyless entry systems primarily for the ease they provide. 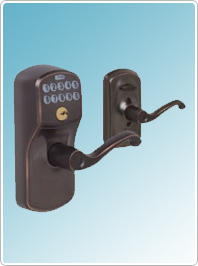 With most systems, such as those provided by Schlage and Oracode, you can program multiple unique codes that can all be used on the keyless entry system. This way, you can have one code for yourself and your family, one for your cleaners and any repairmen that need access, and a third for guests. With some systems, you can even set start and end dates so codes expire at the end of a vacationer’s visit. One of the other benefits vacation rental owners love is the tracking capability. If you’ve had issues in the past with guests staying too long or cleaners not staying the full time they charge for, you will now have proof. Many keyless entry systems will track entry and exit, and can provide you with a rundown of when each code is used. This way, you know you’ll be getting your money’s worth from your cleaners, or you can track how much later than the designated check-out time your guests stay. This can help with the legalities of charging extra fees, when necessary. Keyless Entry systems now are simple to install. They will replace the current knob and deadbolt on the door; it’s as easy as that. 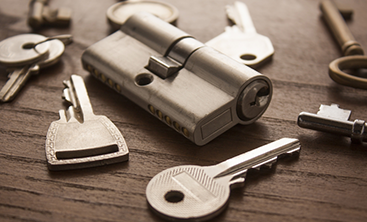 When you purchase a keyless entry system, one of the team members from Destin Locksmithing will come out to remove the old locks and install the new one. They will even teach you how to program the lock! There’s no need to cut into the door to wire it, or any hassle like that. Several modern keyless entry systems run on the house’s wifi, so you can even change entry codes from the comfort of your home or smartphone! To have keyless entry deadbolts installed on your vacation house (or your home! 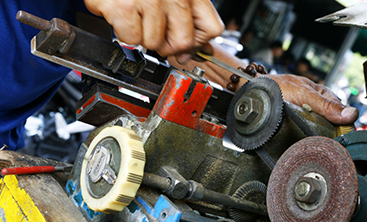 ), call Destin Locksmithing today to schedule a consultation!